Alejandra García Muñiz is the Sustainability Director of Juntos. 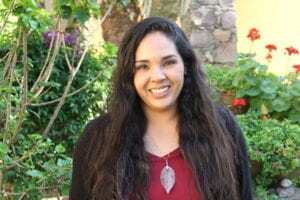 She works with teenagers and women with disabilities in San Luis Potosí, Mexico, to ensure their complete inclusion in the social and workplace spheres. Alejandra is a social entrepreneur who is passionate about social causes. She founded the workplace inclusion program and leads the Poderosa program at Juntos, which draws attention to the challenges that women with disabilities face. She has a bachelor’s degree in Business Administration and a master’s degree in Business Innovation.